Once upon a time there was a summer camp that was very popular with children aged up to 10. The camp had a large swimming pool for the children to enjoy refreshing dips in the water, as it was very hot. 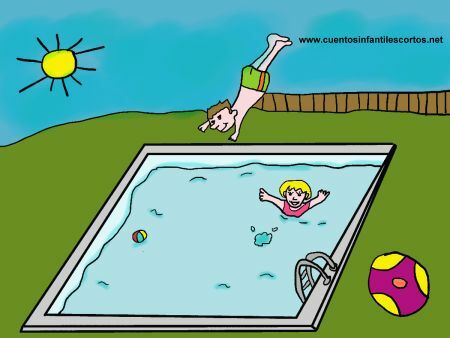 The children usually played and dived near the edge of the pool, which really annoyed the swimming pool. One day, the swimming pool got tired of this and decided to frighten the children so that they wouldn’t play and jump around near the edge. All the children were scared into silence and never again played close to the edge of the pool. And when they got older, they understood that the pool had only wanted to protect them, for the edge of the pool is a very dangerous place to be.